Originally the cause of of a quick pantry clean out to rid the home of flour, eggs and dairy products on 'Shrove Tuesday' to prepare families for the fasting that 'Lent' or 'Ash Wednesday' brought. In more recent times Shrove Tuesday has become the perfect partner to Pancakes and has become a tradtional day to celebrate the breakfast superstar with many businesses nationaly raising much needed funds for local organisations. 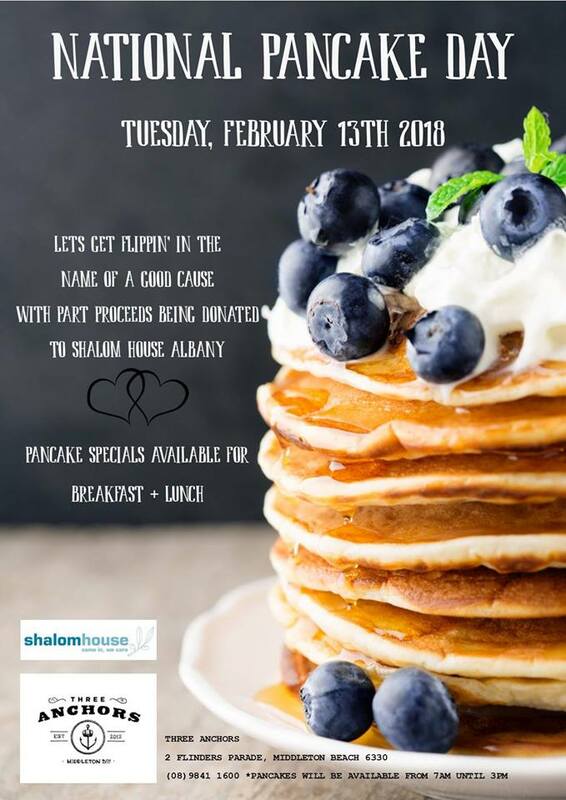 This year we will once again be donating $1 from each pancake sale to Shalom House in Albany to raise much needed awareness and funds for Albany's homeless and the men's shelter. PANCAKE SPECIALS AVAILABLE FROM 7AM UNTIL 3PM FOR BREAKFAST + LUNCH!